HomeAltcoinThe BTC—XRP Correlation, Will it be Eliminated? A decade later and Bitcoin is base in most crypto-exchanges meaning the correlation between the world’s most valuable coin and altcoins including XRP is positive. It is a reality that Brad Garlinghouse want reduced and completely eliminated. Read: Cory Johnson’s Marketing Role Scrubbed…Is Ripple Negotiating with the US SEC and FINRA? Strides are being made and after tireless requests from the so-called XRP army, Changpeng Zhao caved in making XRP base at Binance. Because XRP is base and the benefits of using the coin as a liquidity tool is well tabulated and even demonstrated, the CEO of Binance said he is even open for a partnership. The form of this partnership will likely involve integration of xRapid and that means an inevitable surge of XRP demand. However, just to make it clear, nothing has been collaborated and Ripple Inc is silent about this interesting development. What is not silent are their actions and the recent invest in SendFriend is a message of dedication that the global payment platform is keen on expanding their horizon and taking on SWIFT. Meanwhile, XRP is under immense sell pressure. Five days after that trend defining bull bar of Feb 8, XRP is struggling to confirm and race above 34 cents. 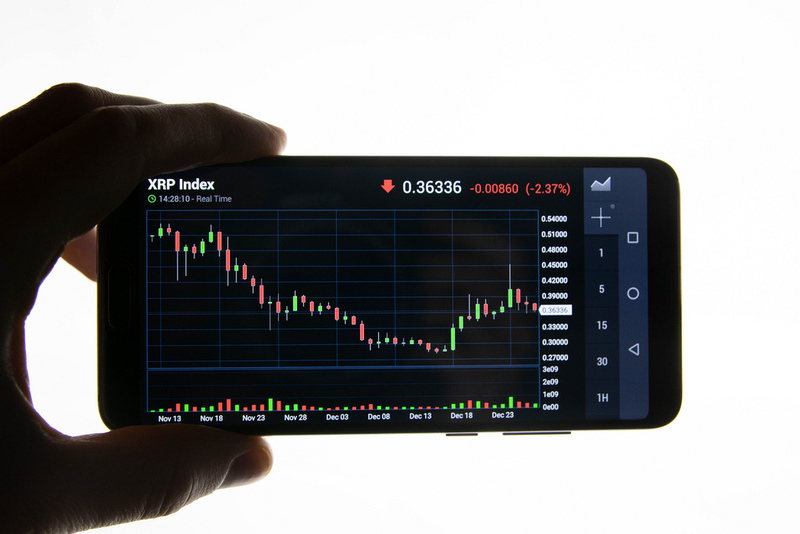 At spot rates, the coin is up 1.9 percent from yesterday’s close and that is miniscule and even negligible because XRP prices have been trending in tight trade ranges in the last five days. Anyhow, despite downward pressure, our previous XRP/USD trade plans are solid and still valid. Gains above 34 cents or the 61.8 percent Fibonacci retracement level of Dec high low would most likely trigger another wave of buy pressure driving prices towards our ideal targets. Our upbeat stance is guided not only by resurgence bulls of late January and early Feb 2019 but by the humongous bull bar of late Sep 2018. Then prices raced from lows of 25 cents peaking at 80 cents before dropping to recent levels. From an effort versus result point of view, the failure of sellers to wipe of these gains four months a conspicuous bull bar printed is bullish. As a result, recent horizontal price movement is likely to be an accumulation with firm bases at 30 cents where several double bar patterns have been printing in the last few weeks. What remains is a confirmation of these bars and the only assurance is if prices edge and close above 34 cents and later 40 cents. As aforementioned, XRP prices are accumulating. Volume indicators dictate that as long as prices are still inside these high-volume bull bars, the path of least resistance is upwards. Therefore, despite sell pressure and tight trade range, we need to see buy demand driving prices above 34 cents. Accompanying this anticipated breakout should be high volumes exceeding recent averages of 15 million and most importantly above 49 million of Jan 30. It is imperative for that to be the case since Feb 8 bar is moving inside Jan 30 high low.